When zombie stories spread and began to be told and modified by the middle and upper classes, zombies represented a different sort of horror. These stories featured zombies terrorizing the oppressors -- which is to say, normal middle-class Westerners like you and me. Middle- and upper-class people in the developed world maintain a lifestyle that is possible only through considerable oppression, often tantamount to slavery, of large parts of the world who labor to feed our voracious, insatiable appetite for stuff. We push this uncomfortable fact out of our minds as much as we can, yet we who are the oppressor fear what we have oppressed and enslaved. These perfect workers we exploit and deny autonomy to may yet come after us. We have forced others, for our material gain, into a state of unthinkingness, yet we recognize, consciously or unconsciously, that that very unthinkingness puts them out of relationship with us, gives them a certain power to threaten us unconstrained by the mores our class takes for granted, the mores we call "rationality." What began as stories expressing the fears of oppressed people have now become stories expressing the fears of the oppressors. Our own consuming appetite, we project upon the zombies. In our fearful imaginings, they come to consume us -- just as providing for our material comforts and conveniences has consumed so many of them. They want to eat our brains, for independent thought is exactly what we have sought to strip them of. 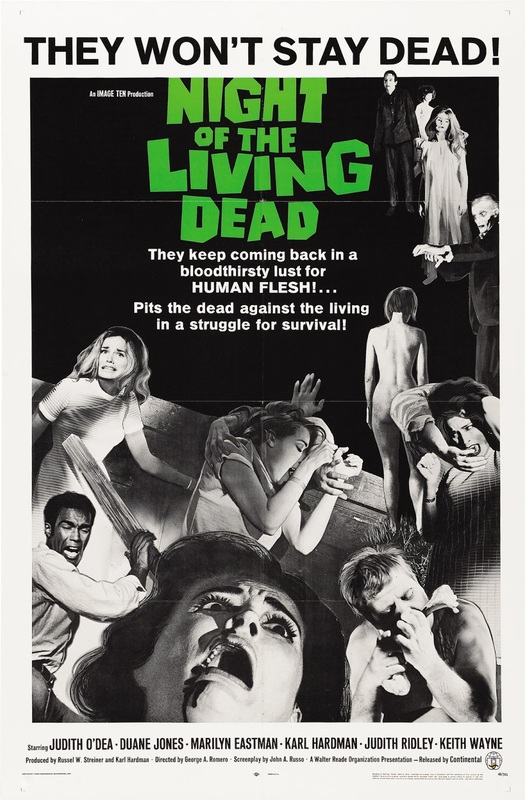 Can it be coincidence that the contemporary boom in tales of zombie apocalypse coincides with alarming income inequalities that have been worsening since 1980? We know our world is out of balance. We sense it even if we don't say it. We are afraid of what that imbalance will lead to, and our zombie movies and tales express that fear. The story of reanimation of the dead from 2000 years ago is very different. Jesus was no zombie. His resurrection represented the opposite: a liberation of mind and spirit. He comes into his full power as a spirit-being who can appear and disappear in our material world at will. Freed of the need to calculate – to solve problems, to advance and defend ideas any more – the resurrected Jesus is freer than ever to just be and to love. There are no more sermons on the mount or on the plain, no more parables and teachings to try to persuade, no more money-changers to chase out of the temple, no more exasperation over "ye of little faith." The resurrected Jesus mostly simply appears to people. He shows his wounds to Thomas. He has a meal with the disciples. He tells Peter to “tend my sheep.” Mostly it’s just appearing: just being there, and shining a light of love. That’s not the activity of reason and rationality. It represents instead the liberation from the insatiable need to figure out this, and then figure out that, develop a strategy for accomplishing some purpose – all the things that reason is good for. 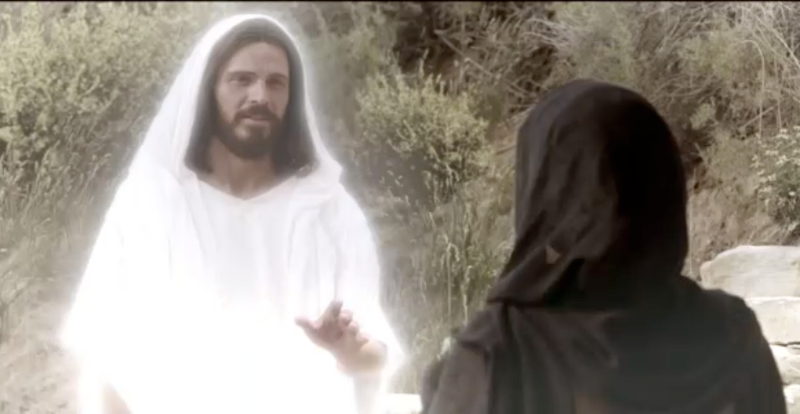 The resurrected Jesus simply sees, and is seen, and his being itself blesses. Zombies represent the loss of reason. Jesus' resurrected state represents the transcendence of reason. Zombies are pulled out of the half-way house of reason into complete enslavement. Jesus transcends the half-way house of reason into complete liberation. For zombies, death and reanimation represents the loss of the autonomy that comes with reasoning ability. For Jesus, death and resurrection represents the loss of the ego, that oh-so-rational part of us that marshals concepts, advances claims, and works so hard to preserve its self-identity. Living in the rational mind is a half-way house, for, again, reason does liberate us from many of the chains of the mind. The zombie stories, told first by oppressed and then by oppressor, illustrate the ways that without autonomy, without being able to think for ourselves, to reason for ourselves about what to do, and the freedom to act on our rational decision-making, we are undead: alive yet not alive, the living dead. And forces of oppression that deprive others of that freedom risk triggering unreasoning, brain-eating reprisal. Yet life in the rational mind is what I call a half-way house – which is a term from our correctional system. A half-way house is not as constraining as prison, but isn’t fully free either. Rationality cannot get us the rest of the way to freedom. We use rational concepts to cut through certain chains, but then we become attached to those concepts, and end up bound and limited by them. Only love gets us the rest of the way to liberation: unreasoning, uncalculating, unstrategic love. Without reason, we are undead. Without love, we are also undead, alive yet not alive, the living dead. May we, too, be risen. Maybe, as the Easter story suggests, it takes a kind of death -- a death of the ego, a death of the identified self with all its attachments, a death of what we thought our life was all about, a crumbling away of all the rational reasons we have constructed for living the kind of life we've been living. With that death, a resurrection into a liberated, liberating life of love becomes possible. May we be risen indeed. This is part 3 of 3 of "Jesus, Zombies, and the Half-Way House of Reason"
Part 2: Can We Talk About Zombies for Easter? Can We Talk About Zombies for Easter?